H.T. Cushman: Civil War Soldier, Inventor, and Manufacturer, Susan and David Bonser, Create Space Publishing, 112 pp., profusely illustrated. $12.95. The H.T. Cushman Manufacturing Company factory was a fixture in North Bennington, Vermont from 1892 until its purchase by Green Mountain Furniture in 1971. Cushman's "colonial creations" were popular throughout the nation and were designed and constructed in North Bennington. The company's founder, Henry Theodore Cushman, commenced manufacturing in North Bennington shortly after the Civil War. His first products were corks and erasers, but the focus became furniture by the 1890s. Cushman catalogs are full of coat stands, umbrella racks, smokers' and music stands. H.T. Cushman: Civil War Soldier, Inventor, and Manufacturer offers a discussion of the genealogy of the Cushman family from the Mayflower, through the Revolutionary War and Civil War generations. As the family grew, three sons moved to the South and became soldiers in Confederate armies. 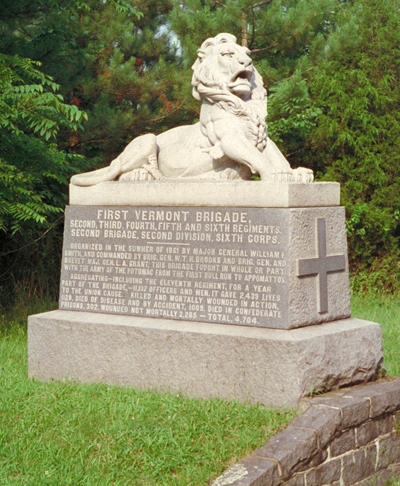 The portion of the family that stayed in Vermont entered Union armies. John Halsey and Henry T. Cushman became Federal volunteers in Vermont regiments; both served as quartermasters of the 4th Vermont Regiment. John Halsey became quartermaster in 1861 and his brother entered the service as a quartermaster sergeant. When John Halsey resigned in 1863, Henry became the chief quartermaster of the regiment. The Bonsers rely primarily on regimental records and letters home for their description of the work performed by the Cushman brothers. Investigations of missing invoices and supplies is a large portion of the brothers' work. The sending correspondence to Vermont newspapers relieve the brothers homesickness. In addition, the arrival of maple sugar candy allays the tedium of there life in camp.H.T. Cushman: Civil War Soldier, Inventor, and Manufacturer details regarding the duties and camp life of regimental quartermasters, as well as the struggles and success of a Union veteran. The Bonser's work is a fine example of Vermont family history and their contributions to the Union cause. Civil War Ghosts of Sharpsburg, Mark P. Brugh and Julia Stinson Brugh, History Press, 2015, 130pp, 40 b/w photographs, bibliography, index, $19.99. Among the 26 short chapters are 14 that contain ghost stories. In the table of contents, the authors have placed an asterisk beside each of those 14 chapters. The other chapters focus upon men, women and children who lived through the battle and left a record of their memories, a few of which supply background information regarding a ghost story in another chapter. The bibliography offers an indication of the authors' diligence in research: a booklet published in 1868 regarding Confederate burial places, Kathleen Ernst's very fine Too Afraid To Cry: Maryland Civilians in the Antietam Campaign and Wilmer Mumma's essay The Aftermath among others. 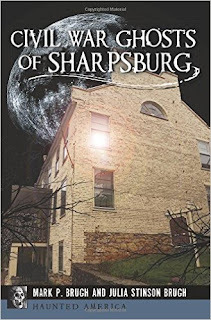 Items which would have enhanced Civil War Ghosts of Sharpsburg are a map of the village with the locations of those houses and farms and a map of the battlefield with those nearby villages mentioned in the text. Additionally, a brief history of the founding and the growth of the village would have benefited the work. Overall, the authors have set the folklore of hauntings with the context of a major historical event.